In an effort to increase voter turnout, some voters may have received incorrect information from a third party organization, Emily’s List, a national grassroots political network. The organization launched a telephone campaign designed to remind voter’s of tomorrow’s election, polling place hours and the location of their polling place. Unfortunately, some voters may have received incorrect information with regard to the location of their polling place. Marci Andino, executive director of the State Election Commission encourages voters who are unsure of their polling place location to check their registration information. “We appreciate the intentions of Emily’s List in increasing voter participation,” said Andino. According to an Emily’s List spokesperson, approximately 171,000 calls were made to voters. 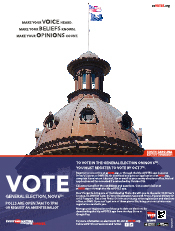 Columbia, SC: Greenville County voters have expressed concern regarding recent news of changes in polling places. 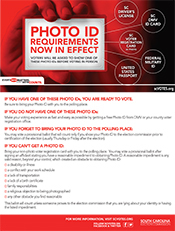 State law requires that when a voter is moved to a different polling place, they are to be sent a new voter registration card stating this information. As of yet, many of the affected voters have not received their new voter registration card stating where they will vote on Election Day. According to the Greenville County Voter Registration office, new voter registration cards are being mailed this week and voters should begin receiving them soon. 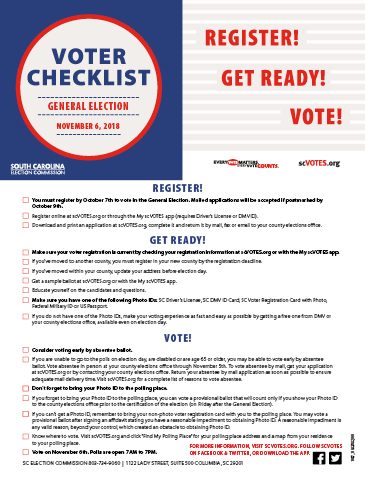 To help voters sort out any confusion on Election Day, the Greenville County Voter Registration office will provide each precinct with a list of all registered voters in Greenville County and the location where they will vote. Voters going to the incorrect precinct will be directed to their new polling location. There will also be signs at the polling places advising voters of their new polling location. All voters are encouraged to verify their voting information on-line. Columbia, SC: The State Election Commission has received information of a person(s) or organization posing as an official from the local voter registration office or as a member of the League of Women Voters who are calling voters and asking them to reveal their social security number and other personal information. The caller is telling voters that they are no longer registered to vote but may register or re-register over the telephone. Voters who received such calls became suspicious of this activity and contacted the State and county election commissions with their complaints. “Registering to vote over the telephone is not an option in South Carolina,” said Marci Andino, executive director, State Election Commission. 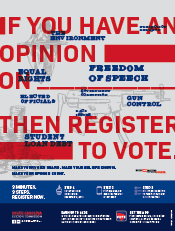 “Voters can register in person, by mail, or through a government agency,” she said. 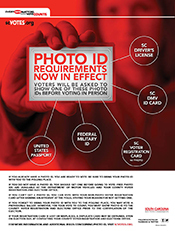 COLUMBIA, S.C. – The South Carolina State Election Commission and county election officials today introduced the new electronic touch screen voting machines and launched an intensive outreach effort to educate voters about the new voting system that will debut in the November elections for voters in 15 counties. “We want as many voters as possible to have the opportunity to see, touch and become comfortable with using the machines before Election Day,” said Marci Andino, executive director of the State Election Commission. Voting on the new system is easy. Voters select their candidates by simply touching a selection on the screen. Once completed, a final review screen allows voters to review and change their ballot before pushing a single red “vote” button to cast their ballot. The act of pushing the red “vote” button is just like dropping a ballot in the ballot box. 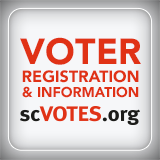 Columbia, SC: Governor Mark Sanford has issued a proclamation declaring September as ‘Voter Registration Month’ and encourages all eligible South Carolinians to register and vote.